(2011). Application of ESD and PR+Wong Sandler Mixing Rule Equations of State to Study Methane Hydrate Formation in the Presence of Different Inhibitors. Iranian Journal of Chemical Engineering(IJChE), 8(3), 16-30.
. "Application of ESD and PR+Wong Sandler Mixing Rule Equations of State to Study Methane Hydrate Formation in the Presence of Different Inhibitors". 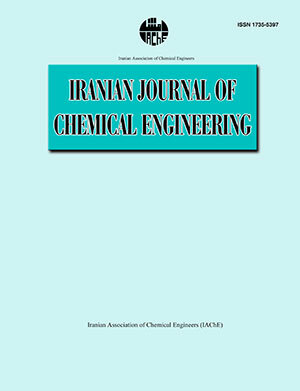 Iranian Journal of Chemical Engineering(IJChE), 8, 3, 2011, 16-30. (2011). 'Application of ESD and PR+Wong Sandler Mixing Rule Equations of State to Study Methane Hydrate Formation in the Presence of Different Inhibitors', Iranian Journal of Chemical Engineering(IJChE), 8(3), pp. 16-30. Application of ESD and PR+Wong Sandler Mixing Rule Equations of State to Study Methane Hydrate Formation in the Presence of Different Inhibitors. Iranian Journal of Chemical Engineering(IJChE), 2011; 8(3): 16-30.